The Ripieno Choir’s repertoire is predominantly drawn from the Baroque and Renaissance periods, but programmes have included music from all periods – from plainchant to 21st century (see previous concert programmes). The choir often performs a cappella, but for larger works we are accompanied by a period-instrument ensembles or modern orchestras, and are joined by leading soloists. Composers whose work the choir has particularly enjoyed include Victoria, Schütz, Charpentier, Monteverdi, members of the Bach family (including a number of less-well-known cantatas by JS) and, from more recent times, Stanford, Howells, Leighton, Britten and Morten Lauridsen. The Ripieno Choir performs 3 primary concerts per year, usually at All Saints’ Weston Green (‘the white church’), just off Hampton Court Way. Our concert venue has been carefully chosen to provide a fitting atmosphere for the choir’s music, and an enjoyable experience for our audience. Over the years, The Ripieno Choir has maintained its Christmas carol heritage, by singing carols at the Thames Ditton High Street Christmas Fair, and in the pubs of Thames Ditton in support of local charities. 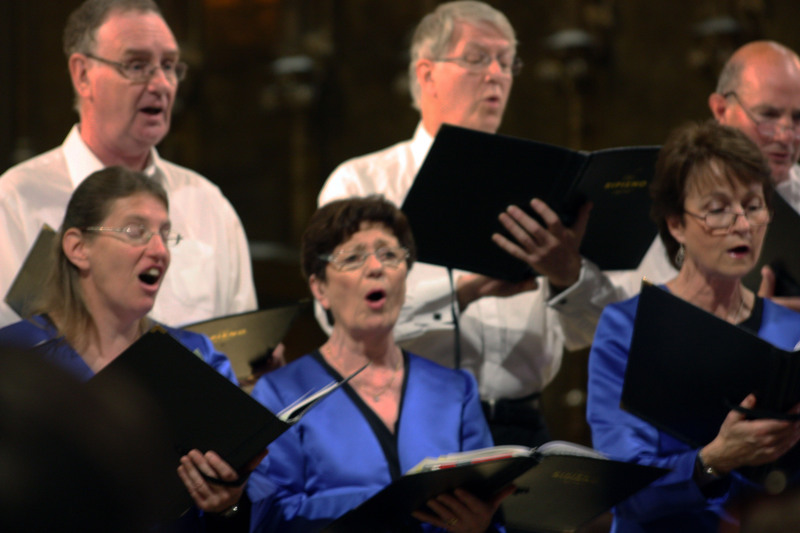 With social and musical elements, the choir also enjoys singing further afield, on foreign tours and UK ‘away days’. Recent away days have include Winchester Cathedral, RHS Wisley and the Chapel of the Old Royal Naval College at Greenwich, and foreign tours have enabled performances in stunning locations like the Cathedral of St John the Divine in Manhattan (USA), the Saint Michael and Saint Gudula Cathedral in Brussels (Belgium), Abbaye de Valloires in the Picardie area of France, St George’s Cathedral in Cape Town (South Africa), Sagrada Familia, Barcelona (Spain) (read more about this tour) and St Mark’s Basilica Venice (Italy). If you would like to join us, see further information on choir memebership here.